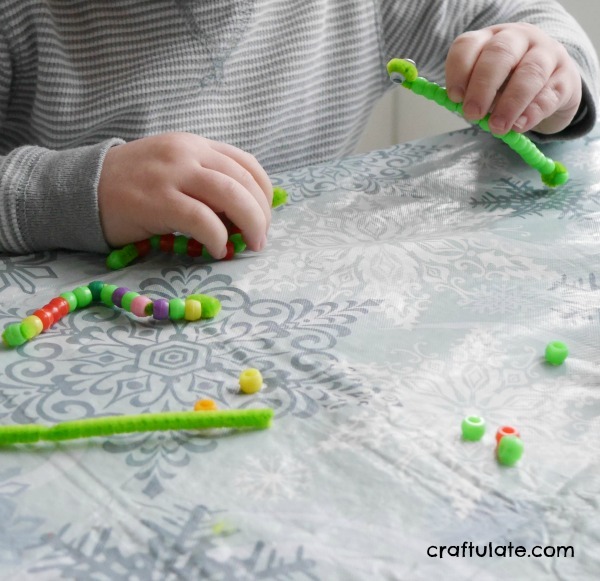 This cute inchworm craft is perfect for working on fine motor skills. 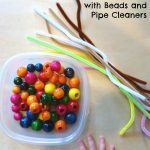 Cut each pipe cleaner in half using the wire cutters. To start the activity, thread one pony bead onto the pipe cleaner and twist over the end to hold it in place. 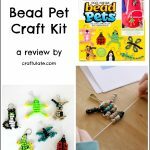 Then hand it over to your child and invite them to thread on more beads. This can be fiddly work but it is great for working on pincer grasp and hand-eye coordination. They could make patterns by alternating bead colors, use one just color, or completely random! F really loved making them and made three! Leave a little space at the end and curl it round to form a head shape – this will also hold all the beads in place. 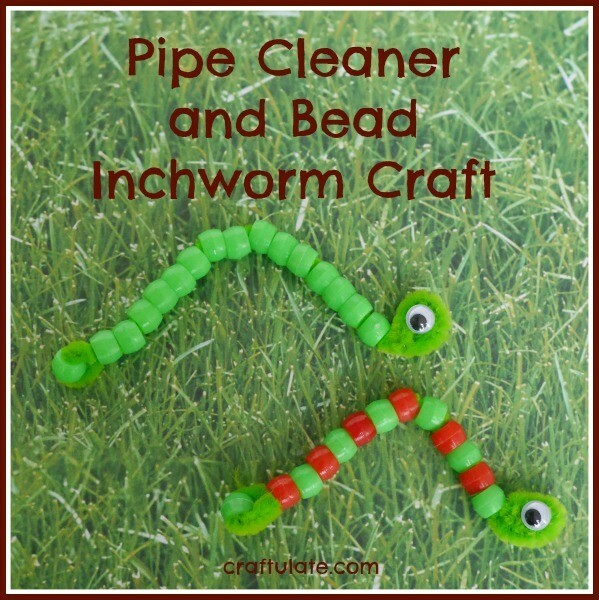 Glue some tiny googly eyes to each side of the head, then bend the pipe cleaner into the classic inchworm shape! Want more fun fine motor ideas? Check out what the rest of the Fine Motor Fridays team have been doing this week! 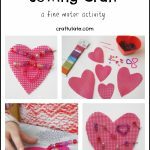 Follow Craftulate’s board Fine Motor Play on Pinterest. SO cute!! My son saw me looking at these and immediately asked “Can weeee make ah-pillars!? !” We also have to make Devany’s groundhog….busy day! Yes my son thought they were caterpillars too! So adorable! I love the pictures of him working! These are uber cute! We are going to be making these tomorrow! The kids are going to make these this aternoon. Thanks for the idea!